How are you going to celebrate the man who taught you how to tie a bowline? Taught you port from starboard? Taught you to love the water and everything that entails? Spending time with him, that’s how! 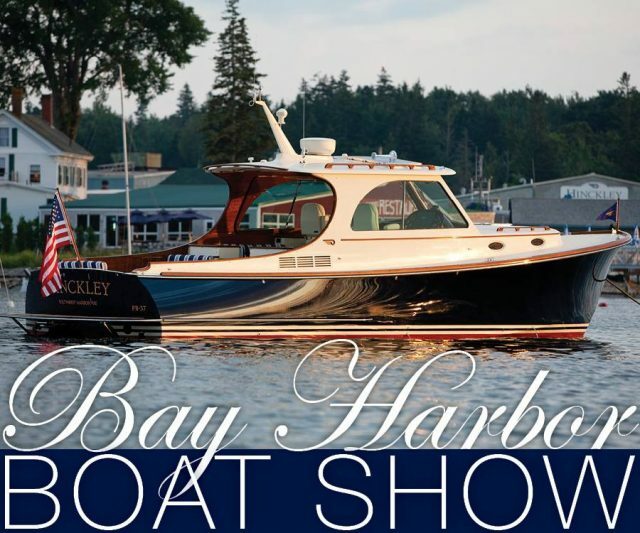 For maximum parent-child bonding, we suggest taking your old man to The Bay Harbor In-Water Boat Show at Michigan’s Bay Harbor Lake. Hinckley will be on the scene with the iconic Picnic Boat MKIII while our sister company, Hunt Yacht will be showing off the Harrier 25. It’s also a great time to learn more about the new Hunt 32CC. For those of you on the East Coast who can’t make it to Bay Harbor, you can always grab dad and play hooky on Friday to watch the start of the Marion-Bermuda Race. Hinckley Yacht Services is proud to be the official Preparation Resource for the Race. We’ll be there to cheer on the two Hinckley Yachts participating in this year’s race, Momentum and Sparky. If you can’t make it down to the Beverly Yacht Club for the event, be sure to follow us on Twitter @TheHinckleyComp where we will be live tweeting the start from the deck of the VIP boat—a Classic Picnic Boat. If all else fails, you can always pick up a copy of Hinckley Yachts: An American Icon, Nick Voulgaris III’s gorgeous coffee table book. You dad will love it! At the very least, be sure to get out on the water this Sunday with your father—it’s the best way to show him how much you appreciate him.